The SELECT program offers a variety of dining benches to bring spacious seating with a unique touch to your dining area. This bench features a simple shaker style with thick tapered legs. Easily accommodates any 48" length table. Solid rubberwood construction ensures sturdy, long-lasting support. Available in 36 paints and stains, as well as specialty aged finishes. Also available with a 47" width. 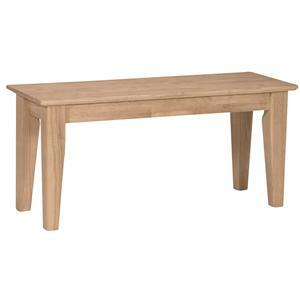 The SELECT Dining 40" Shaker Bench by John Thomas is available in the area from FMG - Local Home Furnishing. 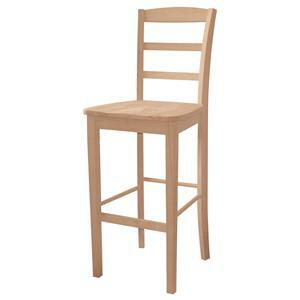 The SELECT Dining collection is a great option if you are looking for furniture in the area. Construction All products are constructed from solid parawood/rubberwood.